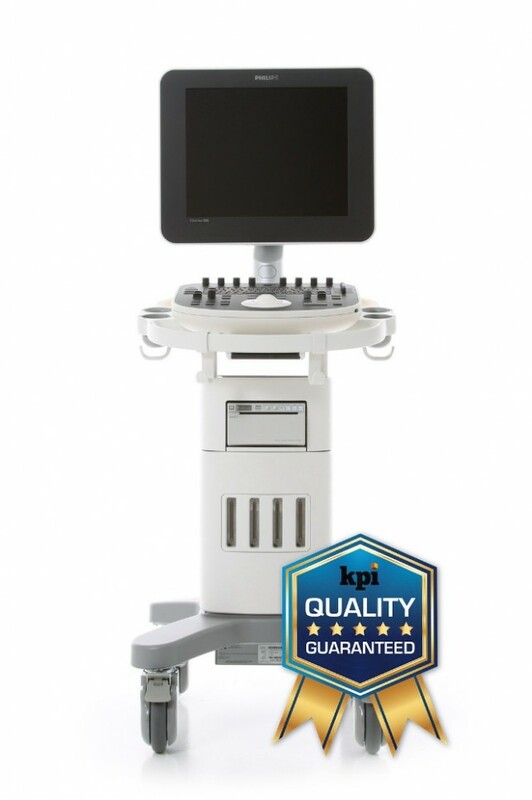 The ClearVue 550 is a midrange shared service ultrasound machine that replaces the HD7xe. It is tiny, with a refined user interface and hardware that is far easier to service and maintain than previous generations. The ClearVue 550 adds an articulating arm for the monitor, SonoCT, Panoramic and Hi-Q Doppler to the more entry level ClearVue 350.